We are proud of our safety record and make it top priority in every job. IST's 2015 safety statistics were zero OSHA reportable work-related illnesses or injuries and zero days lost time. 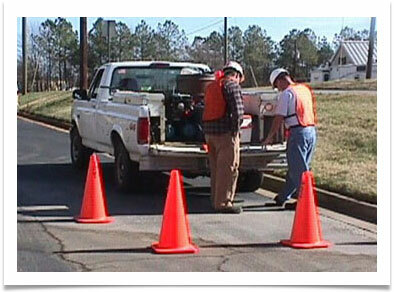 IST has received an Award of Excellence for exceptional workplace safety from the Georgia Department of Labor. Through IST's corporate safety program, high standards of excellence are applied to all of our clients' projects, whether large or small. Employees are trained and sensitized that safety is everyone's top priority, every day, on every single task IST performs. 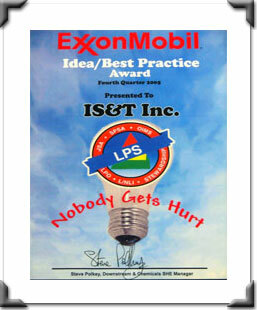 Historical evidence of our commitment to safety: On January 26, 2006, IST was awarded ExxonMobil Global Remediation's fourth quarter 2005 Idea/Best Practice Award for the design and implementation of a drum lifting device. The device allows full 55-gallon drums to be loaded and unloaded from vehicles with no direct human contact, greatly reducing the potential for pinch point, back strain, and other injuries from this common task. The drum lift was developed in response to a Job Safety Analysis conducted as part of IST's corporate safety program and ExxonMobil's Loss Prevention System (LPS).